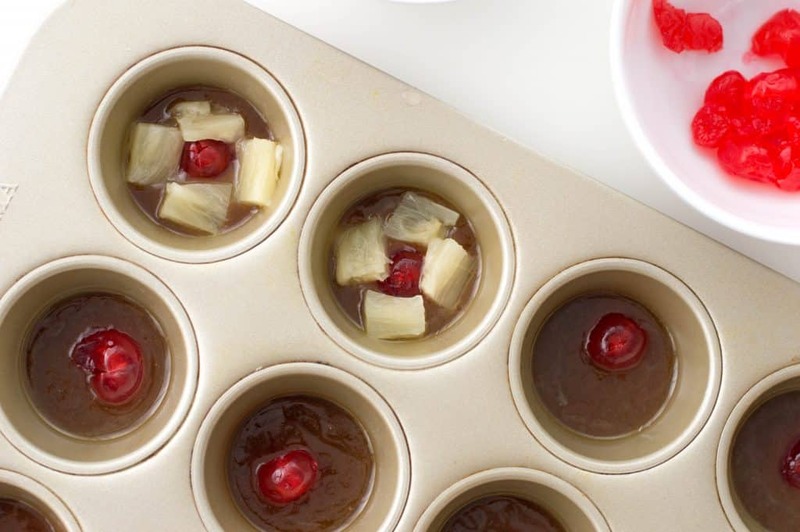 These easy individual pineapple upside-down cakes make the perfect dessert for the holidays! Scroll down for the surprisingly easy to make recipe! Are you guys ready for Thanksgiving? I’m finishing up some last minute work but I’ll be wrapping it up early. I wish I had the rest of the week off but I will be back to work on Friday. This is my busiest time of the year, but I’m just grateful I get to work from home! 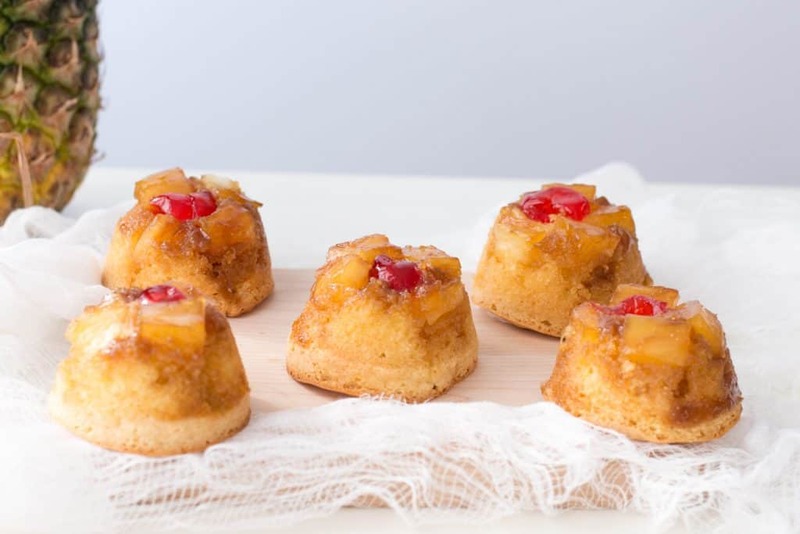 Scroll down for the Easy Individual Pineapple Upside-Down Cakes recipe. Thanksgiving will be a lot more low key this year without my older boys but we’ll still be cooking up a storm! Franklyn and I will be prepping and making two pernils, lots of potato salad and arroz con gandule! 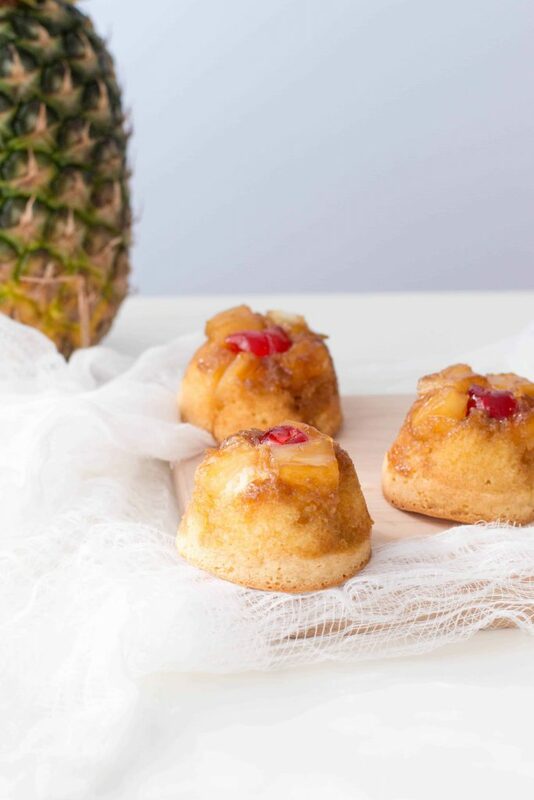 I’ll have a few low carb side dishes that will be adding to my plate but I am going to indulge and have one of these individual pineapple upside-down cakes. 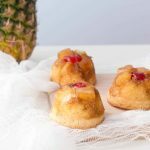 I’m not the greatest at baking, and often times my recipes end up a complete fail but these pineapple upside down cakes are actually really easy to make! 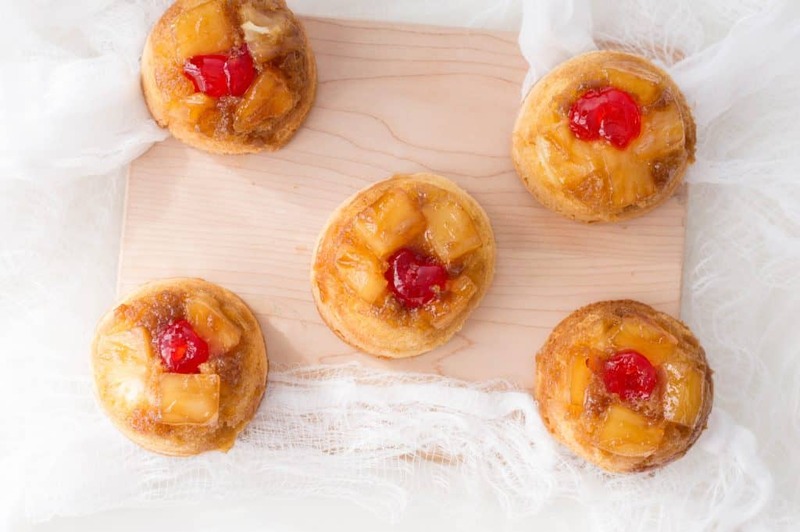 It’s actually a goal of mine to learn how to bake like a pro but for now, I’ll stick to recipes like this easy pineapple upside-down cakes recipe. Scrollw down for even more easy holiday recipes! Preheat your oven to 350 degrees F. Spray your muffin pan generously with cooking spray and set aside. Melt your stick of butter in a microwave-safe bowl (I just bought these for the holidays). Add brown sugar and mix thoroughly. 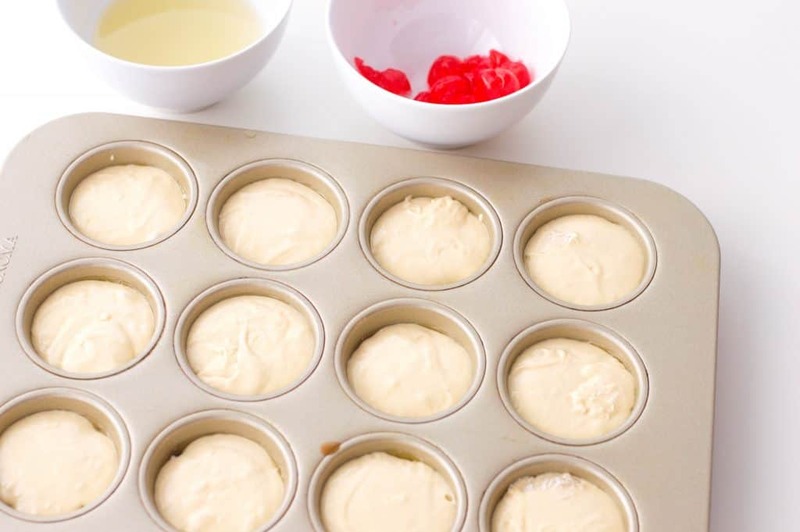 Add the butter and brown sugar mixture into each section of your muffin pan. 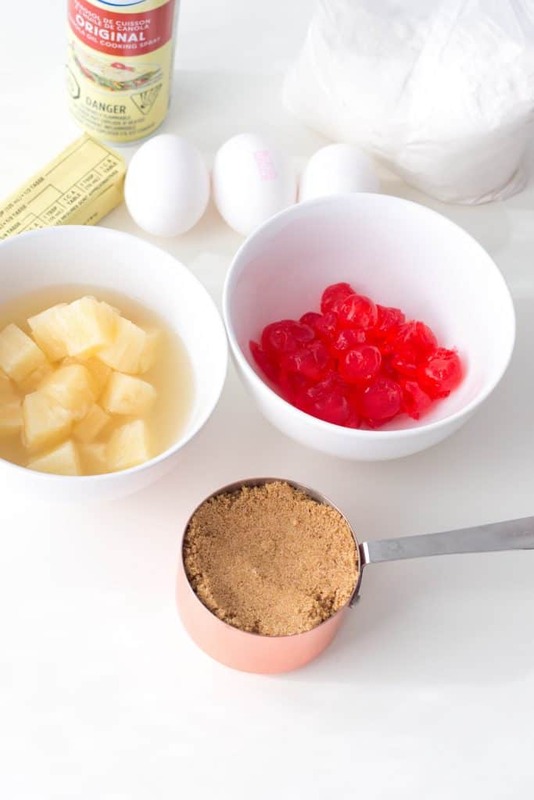 Place one maraschino cherry in the center of each and then surround it with pieces of pineapple. 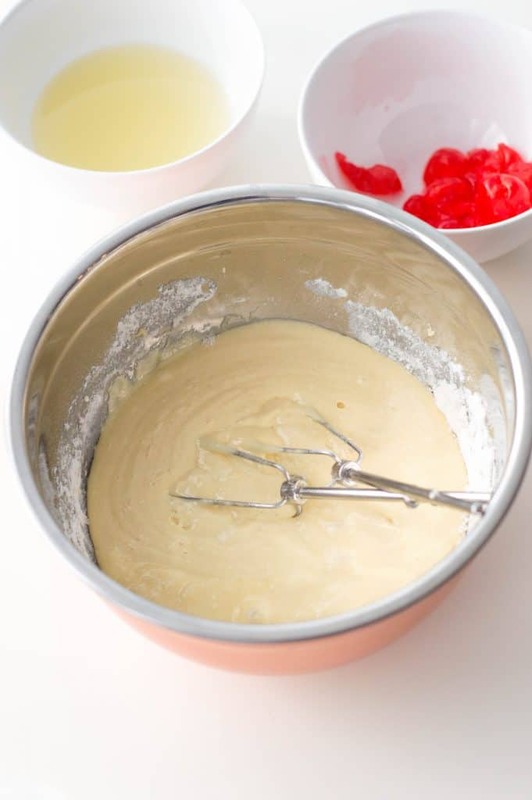 Using an electric mixer, beat together cake mix, eggs and vegetable oil until ingredients are thoroughly combined. 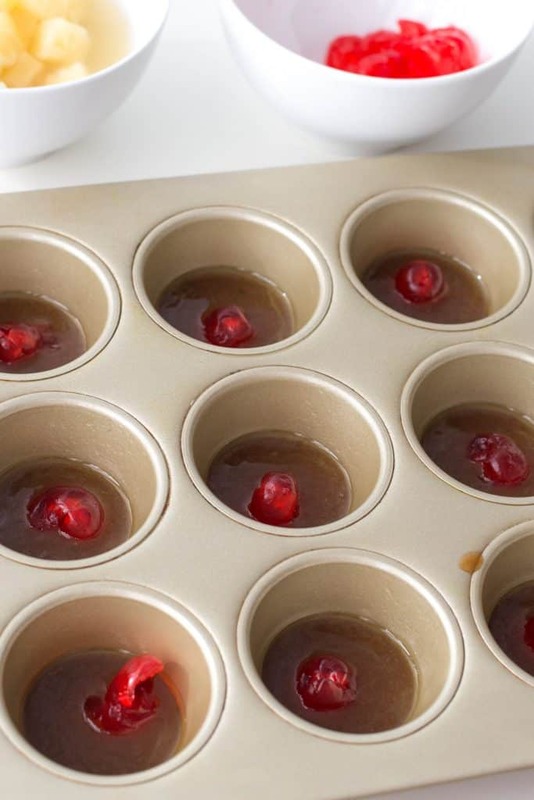 Pour into each individual section of your muffin pan. Bake for 15 to 20 minutes and allow to cool for 15 minutes. 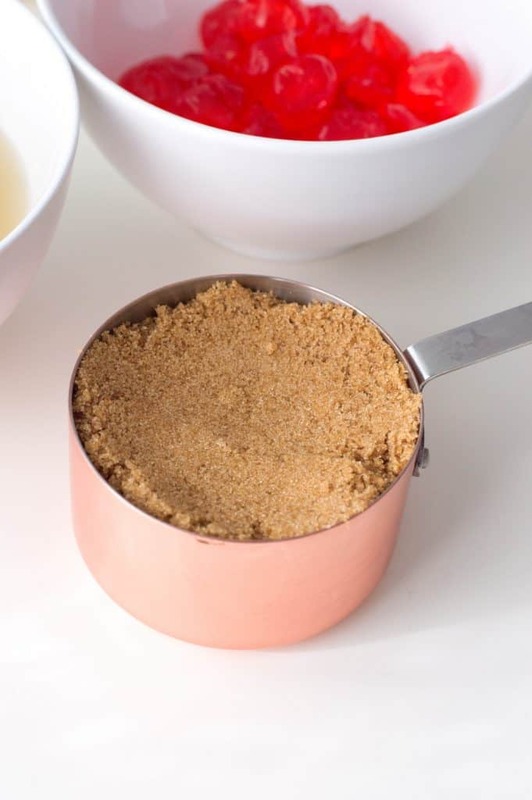 Turn the pan upside down on a baking sheet and your cakes should pop out, revealing the cooked brown sugar, pineapples, and maraschino cherry. Enjoy! 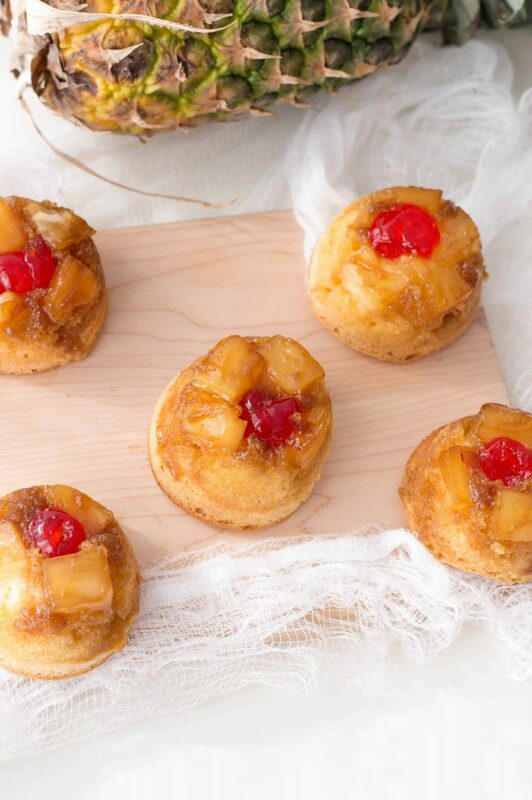 These individual pineapple upside down cakes make the perfect dessert for the holidays! Melt your stick of butter in a microwave-safe bowl. Add brown sugar and mix thoroughly. Bake for 15 to 20 minutes and allow to cool for 15 minutes. 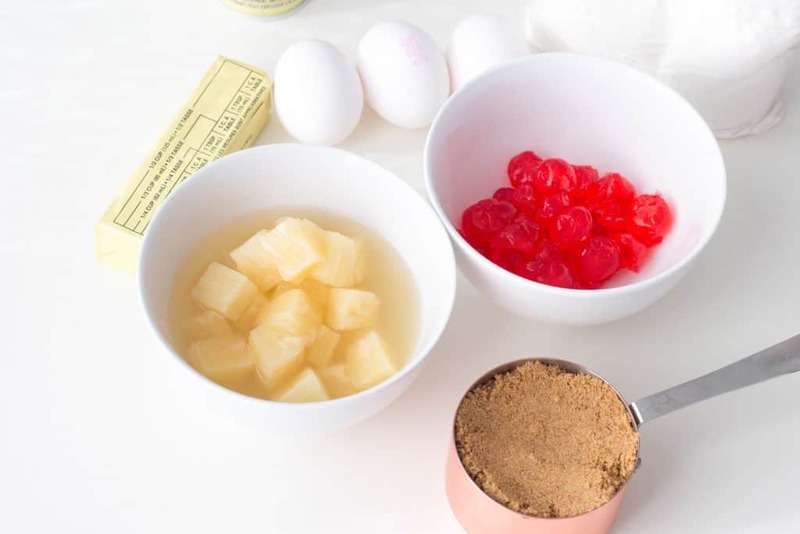 Turn the pan upside down on a baking sheet and your cakes should pop out, revealing the cooked brown sugar, pineapples, and maraschino cherry. Enjoy!